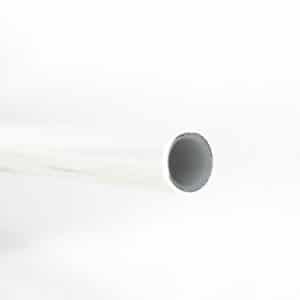 Overlap welded aluminium multi layer 100% barrier composite pipe, supplied in coils. Maincor Multi-Layer Composite Pipe systems are gradually Winning the argument to replace aluminium Choice of pipe. 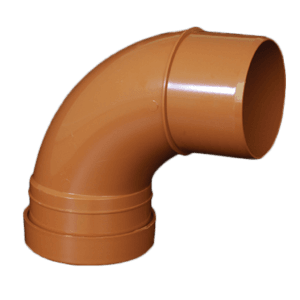 The level of copper usage in the United Kingdom market reveals that for That pushfit is not convinced Plastic plumbing provides the performance they need. Maincor addresses two difficulties. Firstly, its MLCP is competitive against copper and in such a volatile metals marketplace, more cost. Secondly, the main performance requirements are addressed by it: it’s form stable, has reduced expansion rates and a oxygen barrier. It has none of the disadvantages of copper: it can’t corrode and is exceptionally immune to scaling and furring. Maincor MLCP is easily connected to existing copper installations. Though aluminium is strong and stiff, it can be time consuming to bend. 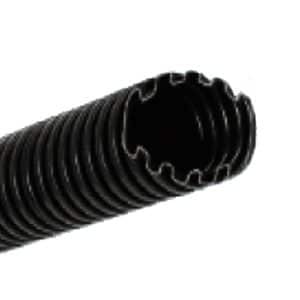 Many fittings are wanted for runs and for 90° bends. Maincor MLCP is extremely flexible, substantially reducing the demand for joints, saving money and time whilst minimising the risk of any leaks and is available in extended lengths. Copper is also associated with theft. MLCP is three times lighter than aluminium, which makes it easy to continue on site and can be cut out of the coil, eliminating waste and significantly improving the transportation loads. A transit can carry more than two miles of various fittings MLCP and gear. 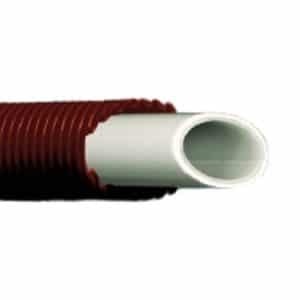 Plastic pipe such as PEX is flexible and good for’threading’ Through jobs, but the plastic isn’t stiff To span large distances and the pipe sags and needs To go back to the’memory’ place (includes a spring up memory). MLCP is form stable and powerful enough for example to span Between joists in a ceiling building without down. Plastic pipes also have a much higher growth than MLCP. By way of example, the expansion rate of PEX pipe at 50°C, is 10 times higher than MLCP (PB is 6 times higher). The growth Of MLCP is further and the same as for copper Information can be located on page 14. Distances that are clipping will affect. 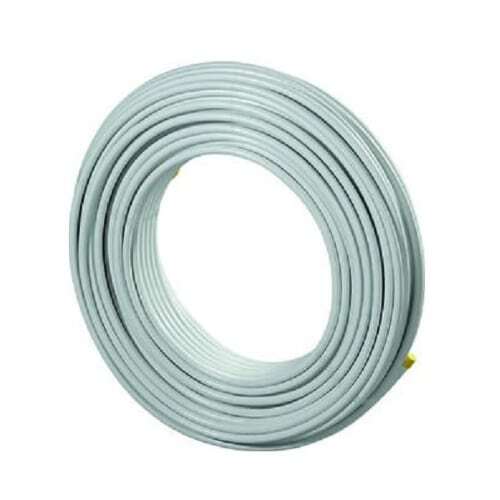 16mm MLCP requires The pipe to be trimmed in 1.2m intervals instead of PEX Which should be clipped every 0.3m. Effectively the next way of plumbing. Formstable – Could be easily Shaped by hand and does not spring back. 100% Oxygen Barrier – Means no corrosion To equipment. Low Rates of Expansion – Means reduced clipping moment. Repair and layout according to copper. 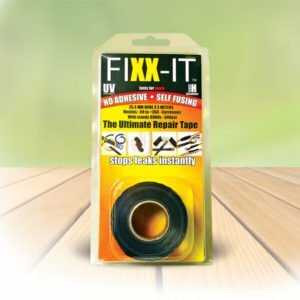 Hygienically Clean – debris or No swarf from pipe and the Aluminium core permits the interior plastic layer to possess no Pigment, which makes it toxicologically clean. No Scrap Worth – Means no danger of metal theft. Paint Finish – finish in white means’ quality No second line painting is required. 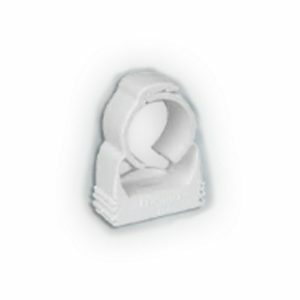 Quickness – Coming from a coil, MLCP can be threaded Through a building and there’s virtually no scrap. Being Formstable and capable of tight bends, fewer elbows have been required. This leads to installation times Than conventional aluminium and lower costs. Colour – MLCP could be manufactured In any colour. Excellent Flow Characteristics – The pipe comes with a lesser Surface roughness than metal pipes consequently producing Flows from the same bore. Using a flame, gaining health and safety . 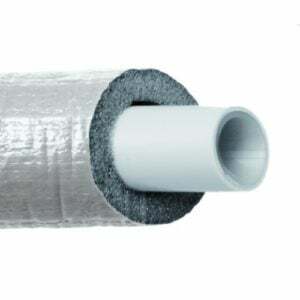 Pre-Insulated Choice – The pipe can be obtained Pre-Insulated In 9 or 13mm insulation or alternatively, pre-lagged in conduit. 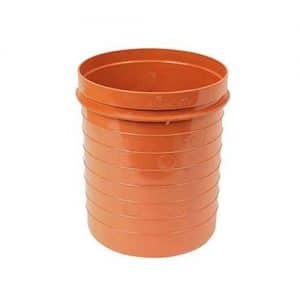 This saves time on site. Pipes – Including application class two to ISO 10508. Use in applications like pump secondary Returns and dead legs. Maximum continuous operating pressure 10 bar at 70oC. Tested hydrostatic stress performance 50 years, safety factor 1.5.
providing a suitable anti-freeze is used. Laying the Pipe Pipelines from the floor structure must be planned in such A manner which they do not to cross. The pipelines should be made as directly as possible, in parallel to the walls and the axis. As a rule, pipeline crossings lead to construction that is larger heights. This can be prevented by careful preparation. Pipe clips and materials for the Multi-Layer Composite Pipe System might be used if these are acceptable for the pipe requirements regarding clip length and protection expansion has to be considered. Notching strong joists – Holes should be drilled or Notched in accordance regulations. When fastening, this system’s weight during use must be considered. Wall and ceiling openings should be executed such that The building regulations in the areas of fire protection (Approved Document B) and sound insulation (Approved Document E) are stuck to. Contact with walls and surfaces should be avoided. MLCP must be protected from outside Influences UV, like media and substances Radiation and saline air.